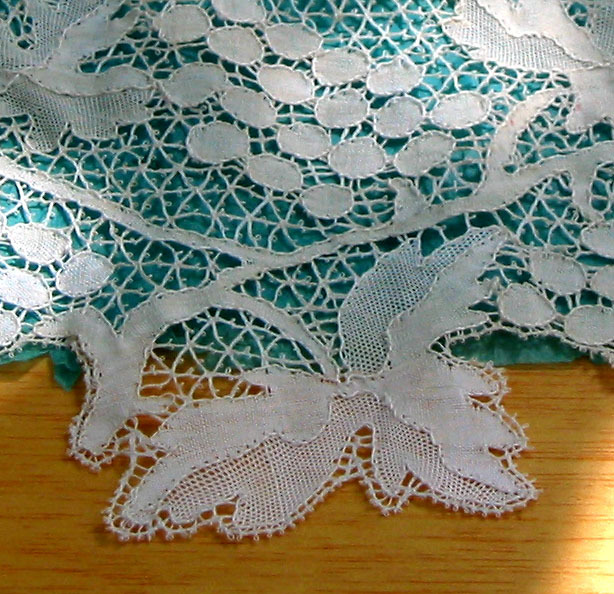 In the beginning, lace was made by two entirely distinct purposes, without apparently relationship or evolution between them. It is assumed that the people of the countries wherein the invention was made were unknown each other although the findings might sometime change our minds. The knowledge on human history evolves according with new discoveries. 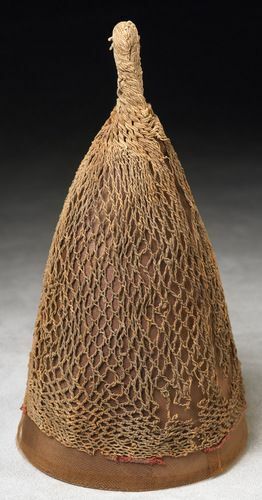 One of these processes is the employment of the needle and the single thread, wherein the work was perfected mesh by mesh, each mesh being completed as the work progressed. The other process was by the use of many threads at once, each one attached to bobbins, for the purpose only of separating them. The meshes being made by twisting the threads a greater or less number of times. When each mesh is only partially completed, the thread is carried on to the next, and so on, grow side to side, the entire width of the fabric. Felkin, in his history of lace and embroidery, says that when pillow lace was invented -about the middle of the Sixteenth Cent., the various kinds of point lace had reached a high perfection. Some early writers, after laborious investigations, assert that pillow lace was first made in Flanders. In later years it has been almost universally attributed to Barbara Uttman (Belgium 1561). No trace of this mode of making lace (by use of pillow and bobbins), can be found before this date. Barbara Uttman died in 1575. Spain was, as far as the records testify, the earliest and most adept pupil of Italy in the art of lacemaking, though, as in Italy, at the beginning the work was confined in the Iberian Peninsula to the convents. Spain too, achieved high distinction in this field, its Point of Spain (Punto de España), being one of the most celebrated of all the ancient laces, worked in gold and silver threads, even vying with the finest Venetian Point. In those days, the power of the Church was absolute and the use of laces for daily wear was prohibited, though the use on Sundays and holidays was greatly in evidence in the attire of those of high station. In the beginning the number of designs was necessarily limited, but as the industry developed and spread, and as the workers became more expert and artistic, there was an incontrollable impulse to break away from conventional designs and to evolve new patterns. Then too, there was something of the spirit of pride behind this movement-a sort of local patriotism, if it may so be termed. The Belgian, Spaniard, and Frenchman themselves, set identify them with the place of their origin. This explains the various names which were given to different types of laces, which designations still we can see. For instance: Alençon, Valenciennes, Chantilly, Honiton, Milanese, Ret-fi catala. etc. In the first half of the Twenty Century, handmade lace was still produced all over the world, commercially its production was confined to France, Belgium, Germany, Spain, Italy and England, where large quantities were produced. 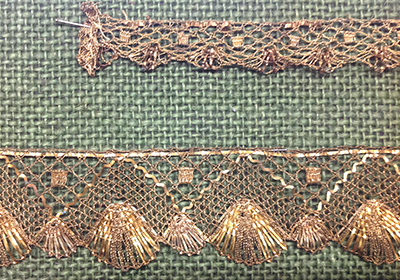 Having noted the differences between European neighbors, there is one common thread indeed that links them all, and that is lace.The origins of lacemaking in Spain can be traced back to the Middle Ages when beaded trims or passmenteries were introduced. They were the precursors of lace, originating in the Middle East where fibers were twined and plaited to decorate clothing. The oldest piece discovered in Spain was that of a metallic golden “guipure”; that surely trimmed an ecclesiastical vestment belonging to St. Domingo de Silos in the 11th. Century.”Guipure” is a very old verb, meaning “to roll thread around a cord”. At the beginning of the 16th. Century, laces always contained a gimp which formed the pattern, and the term has been preserved. In modern language this word is applied to any lace with geometric designs, flowers or arabesques, held together by loops or bars in contradistinction to other laces that are made with an all-over net ground. It started to be called lace because firstly it was worked separately and then joined to material. We get in Spanish the word “encaje” from the ancient word “encaixe“; similar in its sense to “fit”. The first piece to be considered as lace as we know it, worked with white thread and gold was found in Vic in Catalonia also on an ecclesiastical vestment. It was not until the 15th. and 16th. Centuries that lace came into its own when ruffed collars were fashionable. Lace was extremely costly and so, the person wealth and standing in society could be judged by the amount of lace he or she wore. 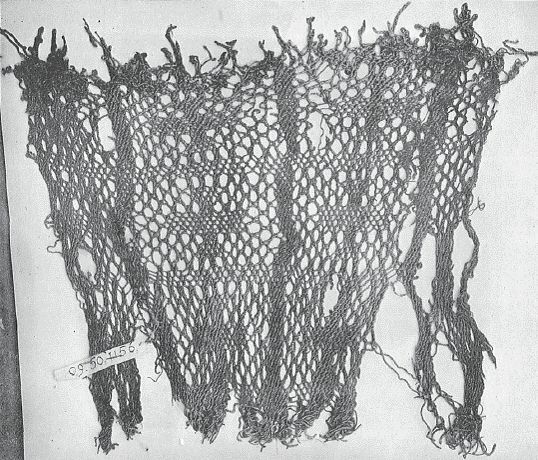 However, even the poorest parishes used the same techniques to make lace using less costly threads (pitta). Lace days events take place in the open air from March to December all around the country, and the ladies can be seen seated at tables demonstrating lacemaking techniques to the passers by. When it gets particularly hot, they maybe use a lace fan to cool themselves. Relatively unknown in many cooler climate countries, hand fans are so important in Spain that they are really a part of Spanish culture. 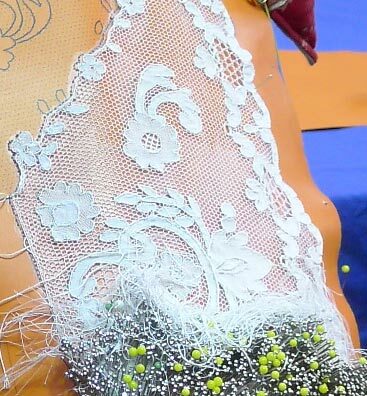 Apart from lace fans, the other tradition still carried on today in parts of Spain is, to wear the lace “mantilla”; or Spanish veil on special occasions. 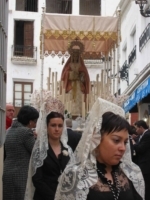 In Andalucia and Castilla mantillas are worn for Holy Week processions and weddings. There are three main shapes -rectangular, fish, or triangular (pollitas), and they are worked mainly in bobbin lace, particularly Blonde and Chantilly, which is extremely fine. Motifs are generally floral but can also be landscapes and even human figures. For the most part, lacemaking is a hobby in Spain but there are some regions where it forms a local industry. 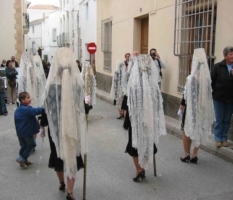 This is the case of Camariñas in the northwest of Spain is a small fishing village, where every year during Holy Week they have a Great Lace Event including a fashion show. Laces in Camariñas arrived from European countries. Its arrival to Galician lands was done in multiple ways: invasions, soldiers, sailors or by means of the Camino de Santiago. The laces are worked with plaited grounds, leaves and tallies forming flowers, as well as a lot of geometrical motifs. 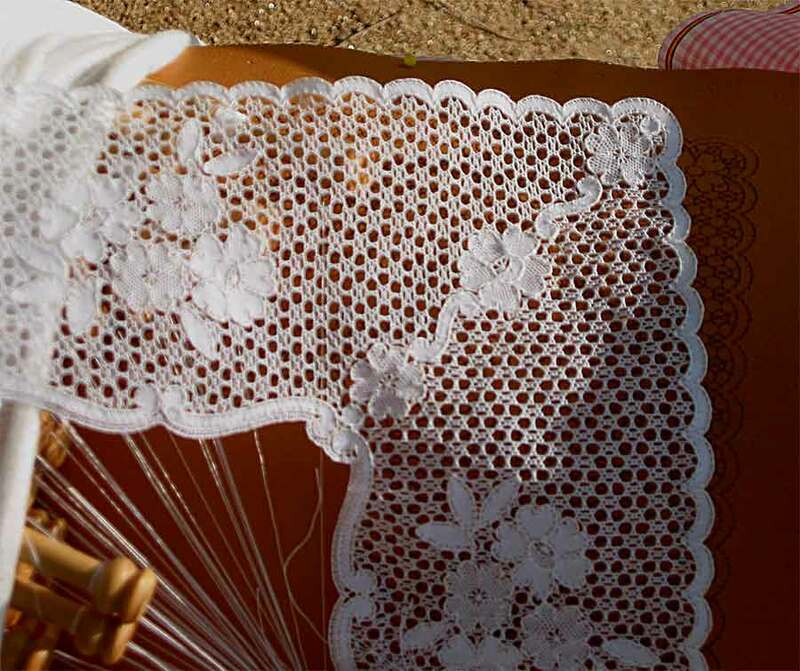 Nowadays, the region of Camariñas together with Almagro in the center of Spain, concentrates the major part of the lace sector which is estimated in 3.500 lacemakers “palilleiras”, and an important annual bill income from their production. 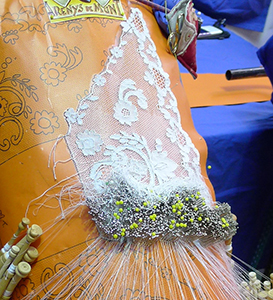 Camariñas Council has designed in the last five years a Development Plan for bobbin lace, in order to activate formation, commercialisation, promotion and restructuring of the sector, which in short time has managed to invigorate it through each generation, recovering ancient designs and making new ones. 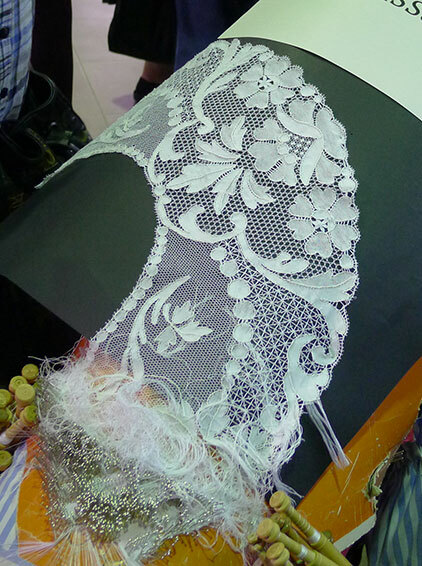 The versatility of lace has permitted the diversification of its application in the textile sector, spreading to decoration and design of objects as presents. 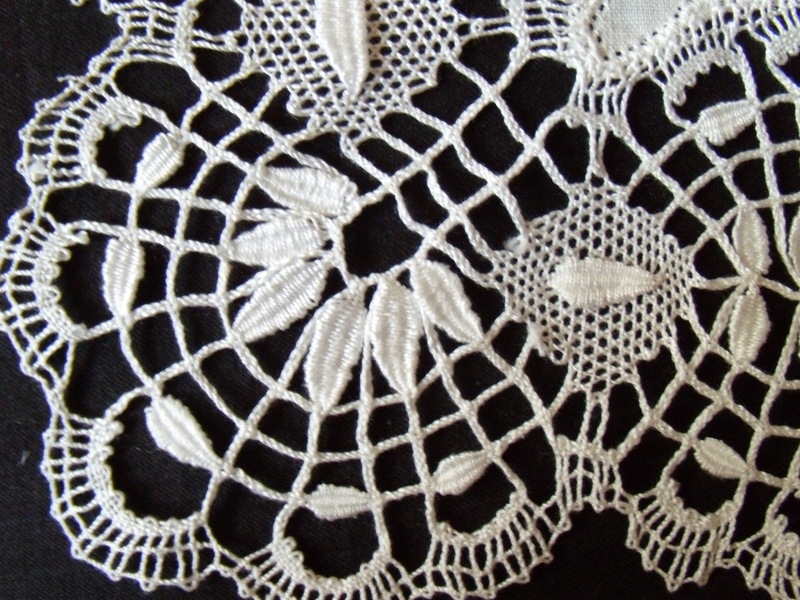 The history of lace in Catalonia seems to begin during the Sixteenth Century and a needlepoint called “Point of Catalonia”, similar to Reticella Italiana was very popular. In the Seventeenth and Eighteenth Centuries, metallic laces worked with gold and silver threads were used to decorate ecclesiastical articles and the Madonna’s dresses. However, even the poorest parishes used the same techniques to make laceusing l ess costly threads (pitta). These laces were exported all over Europe. The Mares Lace Museum located in the village of Arenys de Mar (40 Km. from Barcelona) owns a magnificent collection of laces where a wide range of techniques are displayed, from the 15th. Century to the present day. Bobbin lace is especially well represented, but there are also many outstanding examples of needle lace. 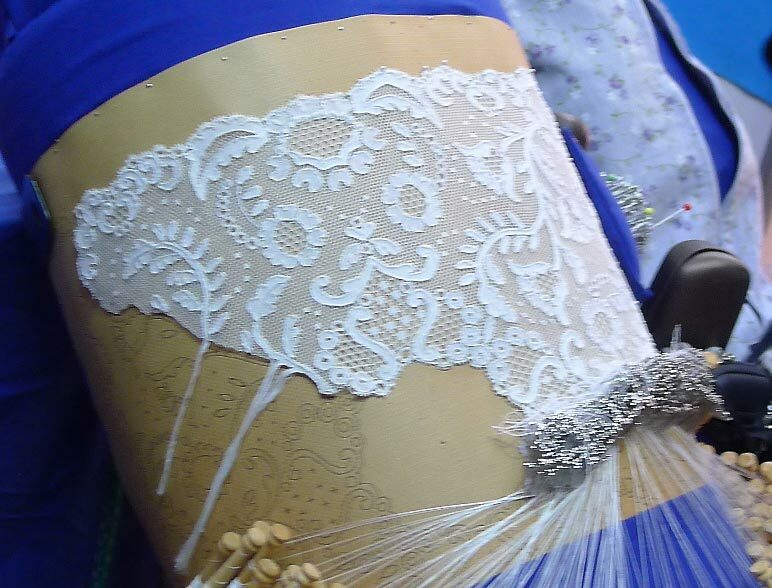 The village of l’Arboç is a traditional lace locality where it is worked the so called “Blonda de l’Arboç”. 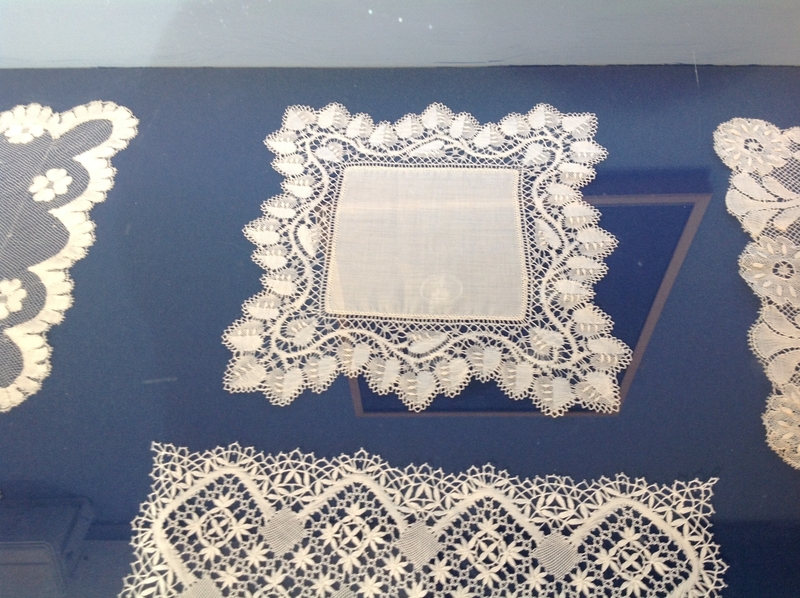 In its Lace Museum can be found very interesting pieces that show the importance that laces had been for its people. In the twentieth century, at the top of the great industrialization era, it was born in Barcelona a lace with its own characteristics, which was called by its creators, the sisters Antonia and Montserrat Raventos i Ventura, “Punta de Barcelona”. In 1951, the Chapter of the Cathedral of Barcelona, commissioned a panel for the main altar, in order to be premiered during the Eucharistic Congress to be celebrated the following year. Raventós sisters made a design applying different details of the Cathedral: the cross, arches, crests and other architectural motifs, such as the wrought iron grid of the pulpit, -a snail that reminds the plague suffered in the 16th century while the Temple was builded, and reflected in its staircase-, as well as the bell tower and archivolts of St. Eulalia’s entrance. 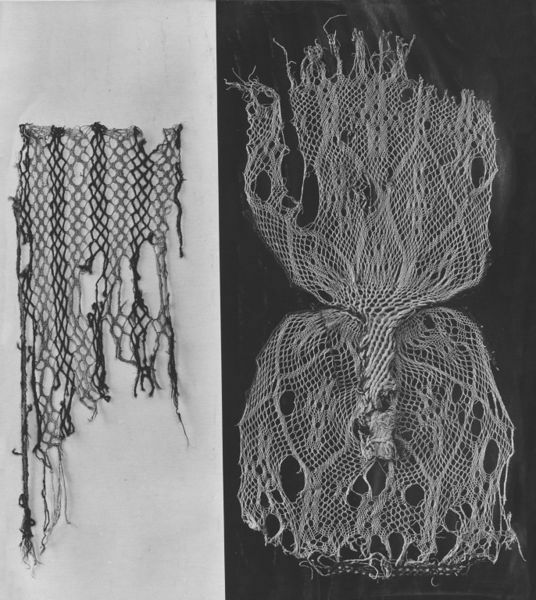 The lace was made according to the drawing in small fragments, where parts were made in bobbin lace and other in needle lace. As the piece could not be worked by only one person, the small fragments were worked by 39 lacemakers for nine months. 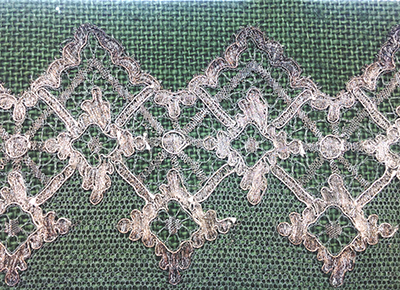 Once finished, it was stated that the piece had its own caractheristics and did not resemble any other lace, so far they gave the name of “Punta de Barcelona”. Subsequently, other orders were received, such as a runner for the ” Palacete Albéniz”‘s table and a panel for the “Bon Consell Chapel” of Barcelona`s City Council which were used 2,200 hours for their preparation, was made too. The Raventós sisters struggled for the appreciation of laces for years, teaching and collecting information, even publishing a book in 1963 with a treaty on lace making throughout Europe. As a result of the exhibitions set up in the “Salon del Tinell” in 1960, at “Lluisa Cura School” in yeaar 1961, and a retrospective in 1963 with the lace that had been made by his disciples for a long time, arised the possibility of creating a Patronage and, in turn, The Barcelona’s School of Puntaires , institution that began to operate as a part of the School Massana of Barcelona. Later, for lack of space, it was moved to the Palace of the Virreina and then again moved to the Barcelona’s Textile and Clothing Museum, and recently are established in C / Sant Erasme, 11 in Barcelona. The origin of Numerical laces comes from the evolution of oriental laces. Curved lines constitute all type of drawings and fill all the empty spaces.These laces usually use 12 bobbins and a cylindrical pillow. The most ancient designs -without fillings- the braids touch one to another Once these laces evolved, braids space out and fillings appear. A first group including Slovenian, Russian, Catalonian and Talaverana (the two last ones in Spain) can be consider as the most ancient pure numerical laces. They have not fillings, since braids touch one to another producing a moving sense and changing directions so many times as needed to fill the spaces. In each country they have their own characteristics and their own names too. The most known today is Russian Lace, since it was in Russia where these laces reached perfection, but we can talk also of Dalmata’s lace in Yugoslavia or Cinta Catalana in Spain. Dalmatia was the country which introducde bobbin lace to Eastern European countries and Russia. Bobbin lace is still made in the Yugoslavian town of Idria, where presumably the first tape lace was made. Russian laces existed as early as the Fifteenth Century. These very simple narrow trimmings where made in gold and silver threads. Later developed into rich laces decorating Monasteries and used by richmerchants. Bobbin lacemaking spread quickly and the laces became an integral part of Russian Folk Art in the Seventeenth Century. 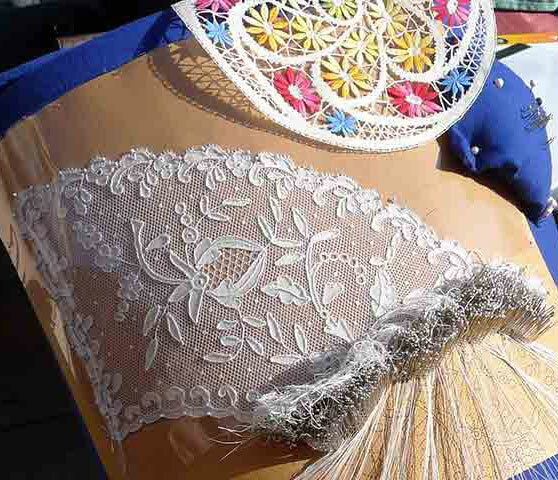 In Spain, Talaverana lace is made of white thread and also uses silver, gold and colored threads. “Puntas Capitanas” developed as far as we know about 19nth. cent. in the South West of Spain. Similar to Hinojosa lace, but not so rich in stitches. Clothstitch is the main used. The design of patterns is similar. 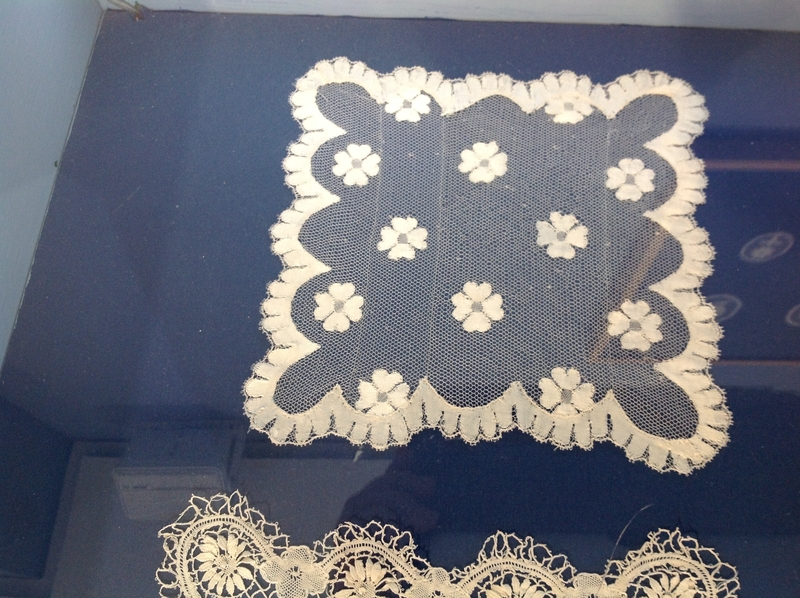 Numerical lace in Catalonia is called “Cinta Catalana”. It is a very light lace, since plaits fill the space between braids, sometimes continuous, sometimes discontinuos. The thread used is a very fine cotton and lace stands out with a high contrast of light and shades. Curves are drawn in parallel and with respect to a vertical axe between them. Braids have everyone their own foot. 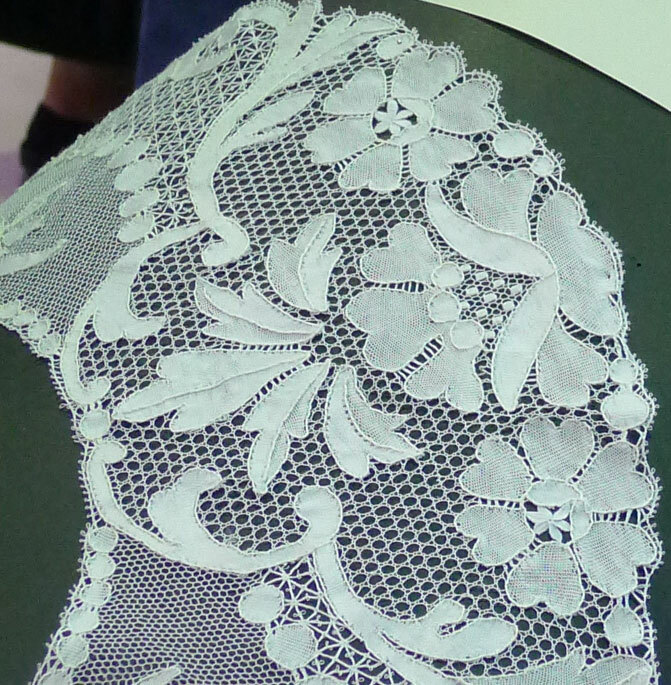 Nowadays a numerical lace has been recovered in Spain: “Witchstitch Lace” also called Hinojosa lace.